WHERE CAN WE TAKE YOU IN 2019? WELCOME to our WEBSITE - we are excited that you stopped by to meet us! We tailor-fit and design your group travel from start to finish. 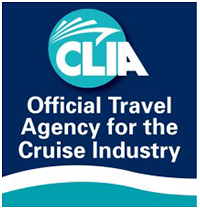 Our approach, forged with over 50 years of experience in the travel business, providing unique experiences and offering competitive advantages from our travel partners, allows us to deliver a seamless travel experience to our travelers. Do you have a group ready to travel or perhaps you wish to join one of ours? Use our website to explore available departures to consider or to give you inspiration on a possible journey! We look forward to helping you plan your next adventure. Where will your story begin? Travel is very personal and we at Beyond Group Travel understand customizing a trip to your specifics is a priority. We make every vacation as unique as you! Don't see what you're looking for on our website? Click the link below and share your dreams! "Our recent trip to view the mansions and gardens of Long Island exceeded our expectations. Once again River Oaks Garden Club has experienced a first class trip due to your extensive planning and detail. We appreciate the extreme organization and care you have taken with each participant; coordinating several from different points of origin with flawless execution of detail. It was truly an incredible, awesome experience. As our trip chairmen commented, you all are outstanding professionals who aim to please. We value your expertise and friendship and look forward with great anticipation to our next trip with you." "Beyond Group Travel sets the bar high. Their everyday standard for a trip is above and beyond anything I've ever experienced from other travel agency's. Their extensive experience, knowledge, and attention to detail within the travel industry provides us with a trip that can't be matched elsewhere. They spoil us, we love it, and we wouldn't have it any other way. " "I sincerely appreciate your diligent efforts in planning and genuine enthusiasm for every detail and activity...Your initiative to do whatever is necessary to ensure each traveler feels special and that they enjoy a truly premier experience is appreciated. The attention to details was remarkable. In short, we felt very spoiled! Thanks again for a wonderful experience in New York!"